THE MISSING COG! How much have West Ham missed Balbuena? 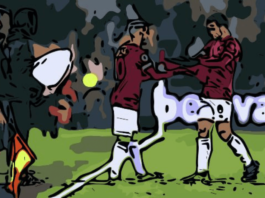 Home Analysis Player Analysis Just how much have West Ham’s defence missed Fabian Balbuena? 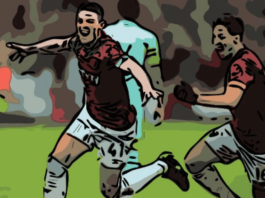 Just how much have West Ham’s defence missed Fabian Balbuena? 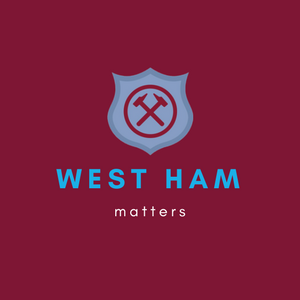 In recent weeks, there has undoubtedly been a noticeable cog missing in the defence of Manuel Pellegrini’s West Ham United, which has come to light even more in recent days after a fourth Premier League defeat in six at Wolverhampton Wanderers on Tuesday night. This missing part comes in the form of summer signing centre-back Fabian Balbuena, whose absence since damaging his meniscus in the home loss to Watford before Christmas and requiring surgery and a recovery period of at least three months, has been felt hugely in east London. But just how much have West Ham’s defence missed Balbuena? Find out in our statistics-driven tactical analysis. Before we can analyse how much of a miss the Paraguayan international has been since damaging his knee conceding a penalty at London Stadium over a month ago. We must analyse how the player himself has performed when fit this season and we’re going to do that with the help of the below image, from wyscout.com. As you can see, the graphic contains Balbuena’s key per-90 minute average defensive statistics from 2018/2019 thus far in the Premier League. The league being the only competitive competition he’s featured in during his maiden campaign in English football after a £4 million move from Corinthians last July. The first figure we are drawn to, beside a mini heatmap showing his average positioning of right-centre-back under Pellegrini, often alongside Issa Diop whom he’s been able to form a strong partnership with. Is defensive duels and the percentage won, with Balbuena averaging an impressive 7.52 entered, but with only a 34 per cent success rate. Making the huge step up from the highest tier of Brazilian football to the most competitive league in the world, ‘The General’ has managed a better 40.9% won of 5.58 aerial duels. Although as we can see, his sliding tackle stats aren’t as handsome. However, Balbuena more than makes up for it with an eye-catching average of 7.75 interceptions per 90 minutes this season. For a player who sees so much of the ball, the man who was only the second star to start every league game in Claret & Blue under Pellegrini until him missing out on the Cardiff win in early December’s 9.06 losses with just over 50% of them coming in his own half. Is respectable. Balbuena has a fantastic average of 11.45 recoveries to his name, 90% of them saving his defensive teammates from danger in the West Ham half, this is coupled with a high 4.22 clearances. But a mere 0.23 blocked shots show us that some opposition efforts do get by him, more than often. The eight-cap Paraguay star is a very physical presence in any backline and it’s how he earnt his nickname, which makes it all the more credible that he has averaged under a foul per full match. In addition, just 0.11 yellow cards and no red cards, having not been sent off once in the PL. The 27-year-old, though it’s obviously not shown in our image of his average defensive stats, has even registered a goal in his 17 appearances for the club, scoring the opener in a 1-1 draw at the King Power Stadium in late October. This displays how much of a threat Balbuena truly is in both boxes. From these stats alone, it’s quite clear to see that the brutish defender has performed wonderfully in his few months of West Ham and Premier League action so far. Most top-flight centre-backs would snap your hand off for average figures like these for the first half of the season, let alone one who had never even played football in the same continent before. What team wouldn’t miss a defender with these capabilities? 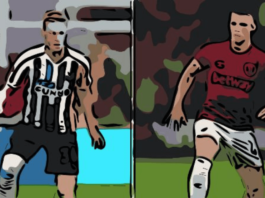 Next in our analysis, it’s time to take an in-depth look at West Ham with Balbuena and West Ham without Balbuena. In order to find out the kind of impact his absence has on results and stats. As aforementioned, Pellegrini’s men have played 17 matches with Balbuena in the starting Xl, all of them being in the league. With the only PL game he missed before the big injury on December 22 coming when he was rested for the successful visit of the Blue Birds to London Stadium. In that time, the Irons were victorious in six matches, also keeping three of the four league clean sheets they’ve managed in those games, shutouts in a home draw with Chelsea and away victories over Newcastle United and Fulham. Meanwhile, drawing three and losing eight in a tricky start to life under Pellegrini. Without Balbuena starting or even featuring, the Hammers have contested seven league clashes, keeping only a single clean sheet. They’ve shipped 11 goals in seven, won a mere three times, lost on three occasions and drawn twice. It’s clear to see, even with a minuut sample size, that Balbuena is really missed. Although we touched on it briefly in the last section, a clear example of the impact Balbuena’s injury, which was initially thought to be short-term but has turned out long-term. Is how the team have fared since he left the field after just 34 minutes in the Hornets defeat. Now in early February, the East Londoners have just lost their third in a row in all competitions, including Emirates FA Cup humiliation at Sky Bet League One AFC Wimbledon. And their fourth away match in succession, with the 3-0 humbling at Molineux three days ago. In the roughly three and two-thirds games after Balbuena seriously damaged his knee giving away a penalty in unfortunate circumstances. The side conceded 7 times, this was more than they had let in during the previous five games with the stalwart at the heart of the backline. A crystal clear difference. At the time of Balbuena’s nasty injury, West Ham sat ninth in the PL table with a superb opportunity at hand to climb to seventh and be the best of the rest at Christmas, the former Nacional star’s immediate absence contributing to the 0-2 loss to Javier Gracia’s men. Now, they’re all the way down in 12th and four points off seventh, with cup dreams over and the chance to finish in a UEFA Europa League spot slipping away. 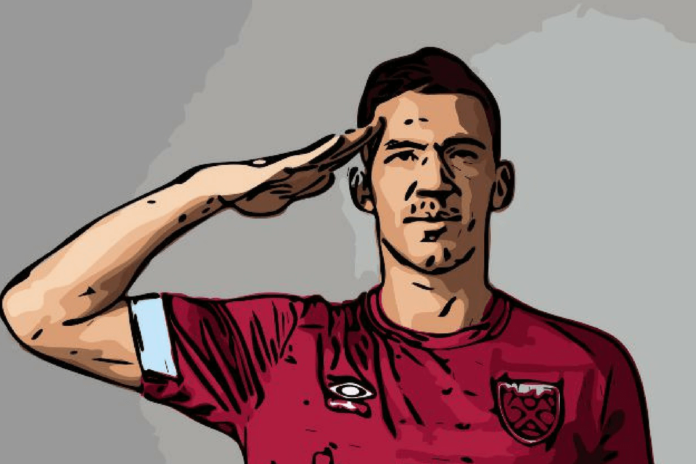 In conclusion, our statistical tactical analysis today has found that West Ham’s defence has missed Balbuena a colossal amount when he’s been absent this season, and what defence wouldn’t? But especially since his knee injury at the beginning of the frantic festive season. As our stats and analysis has proved. The bad news is for members of the Claret & Blue Army that the backline still has plenty of time to wait to be graced by Balbuena once again, as he’s not expected back at least until some time in March. For now, they will have to hope the central defensive duo of Diop and Angelo Ogbonna can start to gel better, and for damage limitation. 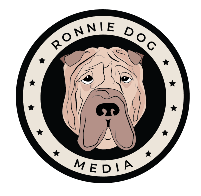 Previous articleIs Maxi Gomez the right long-term Arnautovic replacement for West Ham?